On Thursday, August 27, 2018, at sometime between 9:30 a.m. and 12:30 p.m., Smoky Hill Construction was performing duties on the Santa Fe project in the 100 block of South Fourth Street in Salina, Saline County, Kansas. Person(s) unknown removed a GPS unit from a 7-foot pole that was on the ground next to a sidewalk. 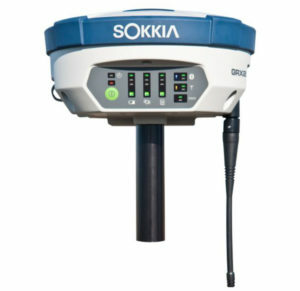 The GPS unit is a grey and blue circular unit, made by SOKKIA, and has the markings of GRX2 on the device. There is a black-colored antenna affixed to the device. The value of the GPS unit is $12,000. This device was out on the worksite daily. If you have any information concerning who committed this crime, call Crimestoppers at 825TIPS, text SATIPS to CRIMES (274637), or visit www.pd.salina.org and follow the Crimestoppers link to submit a web tip. You may receive a cash reward of up to $1,000 and you are not required to give your name.